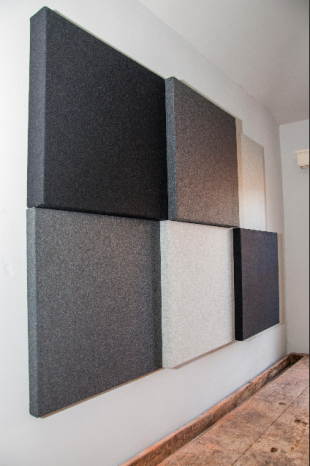 These products are used to improve the sound balance in a room made up of poor acoustic elements (hard floor, white board, melamine furniture, unpadded chairs, …). 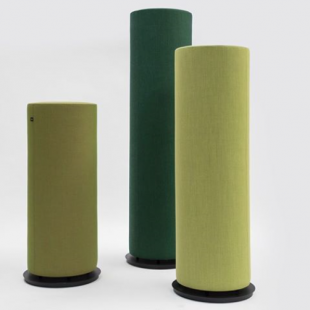 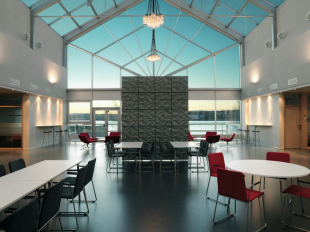 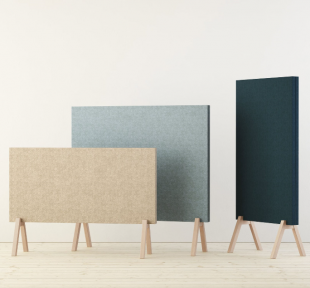 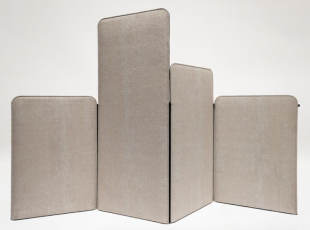 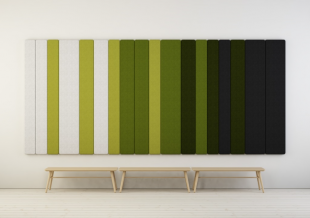 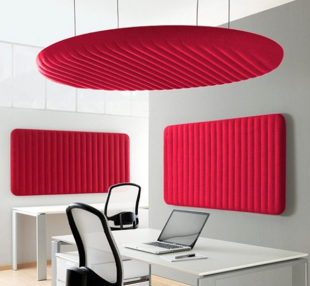 They significantly reduce sound reverberation time and play an important role in eliminating fatigue related to background noises in conference rooms or offices. 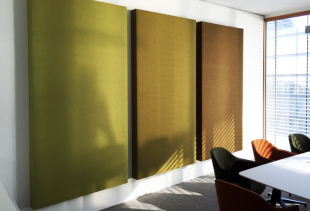 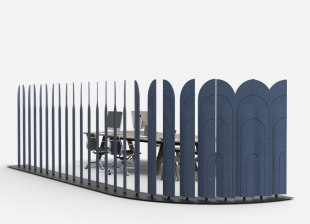 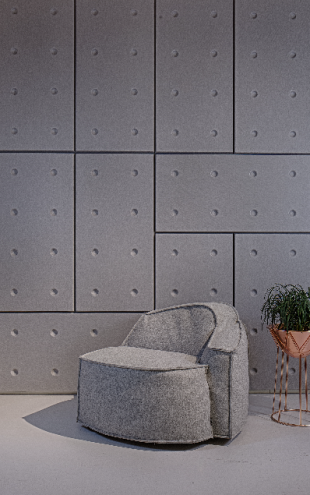 In your executive office, operative areas, meeting rooms or reception and breakout rooms, use our acoustic solutions et space separators to combine design and performance. 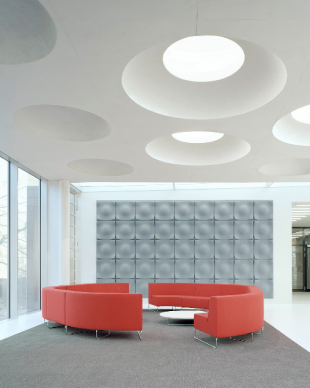 aDesign will will advise you in your choice in accordance with your different spaces and needs. 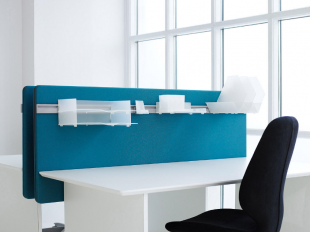 Visit our product gallery and contact us for more information. 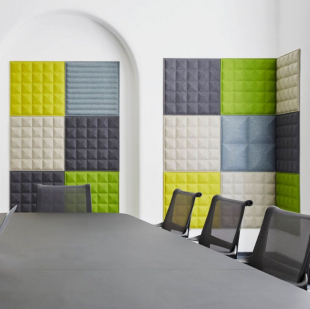 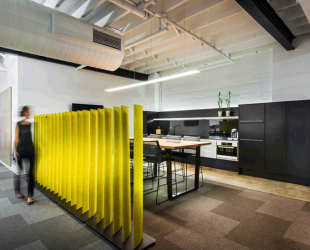 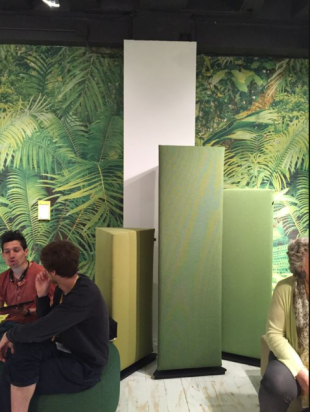 Take care of your company’s well being will our acoustic screens and partitions ! 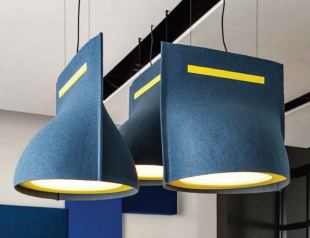 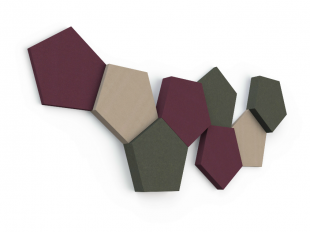 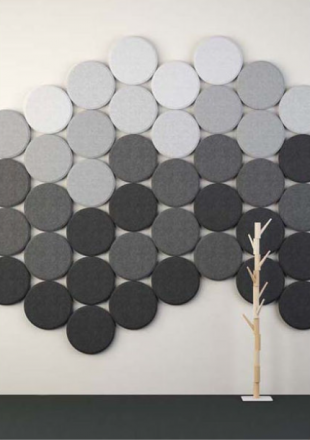 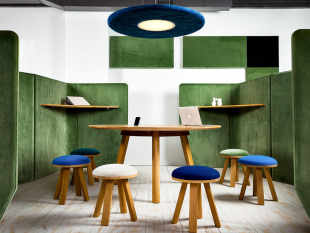 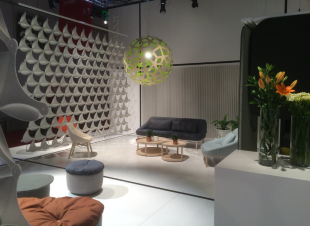 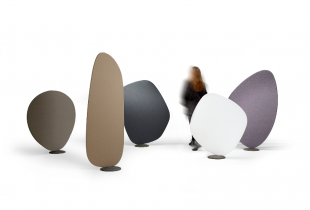 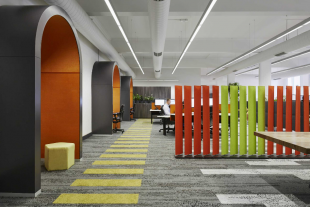 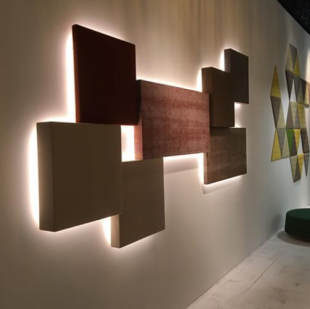 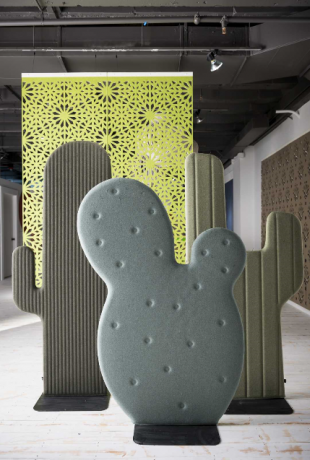 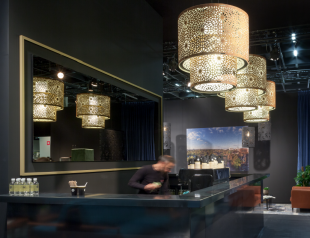 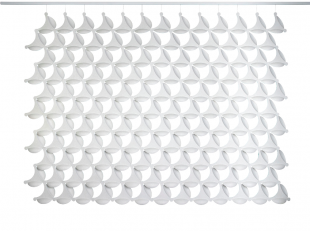 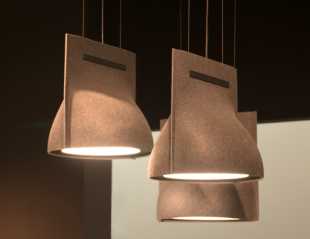 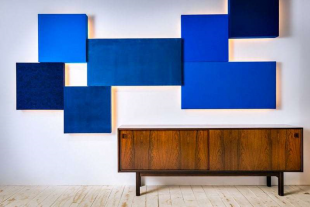 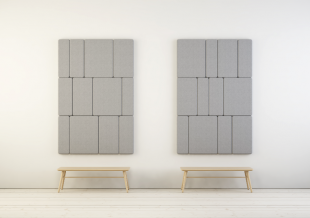 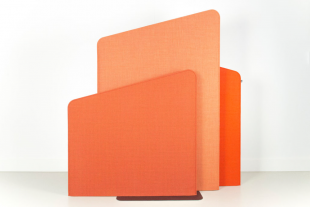 Certainly, the primary purpose of this accessory is “comfort at work”, but it can also have a decorative purpose thanks to its originality and to the shape of the panels, as well as the many color palettes available for each range. 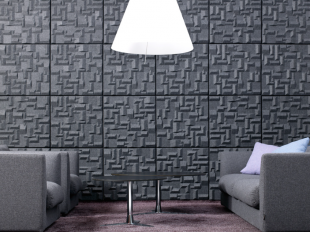 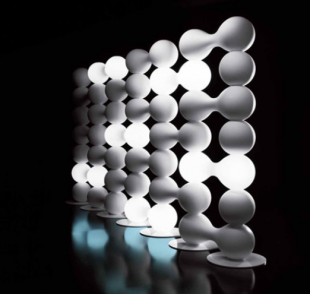 We offer a large range of models with refined and modern shapes, that will bring an original touch to your spaces. 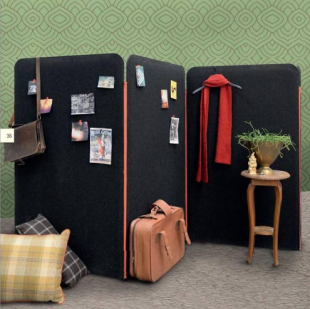 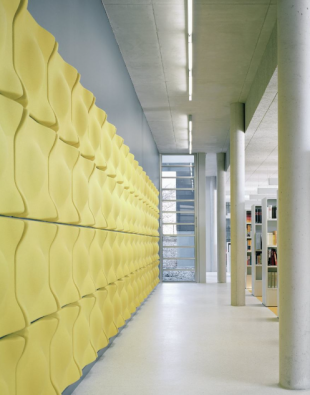 Some items designed as a space separator may even substitute for a conventional partition. 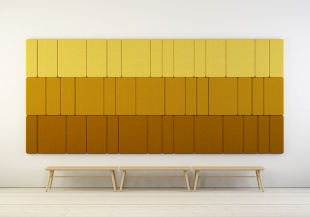 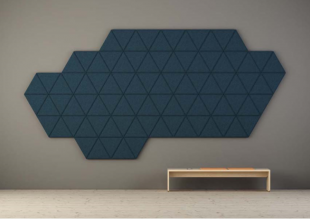 A study below (Diagram and Arrangement sketch) will show you the sound absorption capacity brought by a few acoustic panels in a room of about 30 m2. 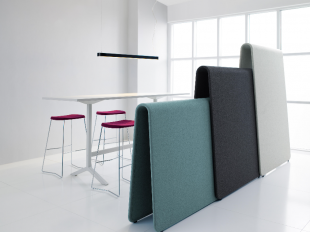 Find the model that will improve your employees’, clients’ and partners’ well-being and associate perfectly with your office furniture.